“Although it is true to say that there are more women in our industry than when this veteran writer first made contact with a flightcase back in the 1970s, there are few who would deny that this is still a world dominated by men. So, it was refreshing to discover that there are no fewer than 13 women working at Rope Assemblies; three of them in managerial positions, with Linda Martin steering the ship as MD. Congratulations to Daniel Amendola (pictured) for winning Employee of the year 2019 at the North Notts business awards ceremony 2019! A well-deserved win, Rope Assemblies Ltd were also selected as Finalists by the judges for Manufacturer of the year and Employer of the year, we are very proud to have got that far, congrats to all the companies that won. Thank you to the organisers of the event who did an amazing job which meant the night ran very smoothly and a fun night was had by all. Rope Assemblies has supplied a range of Doughty kit to the Royal Albert Hall to help improve safety in the performance space. As a duty of care to performers on stage and to ensure that any falls from height are prevented, Doughty designed and fabricated some bespoke handrail braces to make the space as safe as possible. We have recently updated our Kong PPE section to include a new 2019 brochure focused on Kong Rescue. The Kong Rescue brochure provides the very best in product technology for stretchers, lifting devices, evacuation, transport, harnesses, slings and products that will perform in the harshest snow and ice conditions. 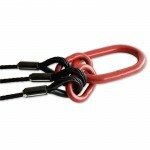 Please visit the www.ropeassemblies.co.uk/kong-ppe-downloads/ page to see all PDF downloads and contact us for your Kong requirements. KONG, since the beginning, has always followed strict rules to ensure that each product withstands expected loads, controlling and testing piece by piece. This means that when Kong design a new item, they build a prototype and have it tested by a notified body that verifies compliance with the standards. They then put it into production with the absolute guarantee that the millionth piece is identical to the first piece produced. This also applies to the production of carry over products. We have been shortlisted for 3 awards at the North Notts Business Awards – Employer of the Year, Employee of the Year (Dan Amendola our Stores Supervisor) and Excellence in Manufacturing. The event takes place on 15th March 2019 we are all looking forward to taking part. The Business Awards embrace all sectors of the business community. Together we celebrate the brightest stars of the North Notts region, highlighting the expertise, achievements and outstanding contribution that these businesses and individuals make to the local economy and to this amazing emerging business region as a whole. The Awards Ceremony will take place on Friday, 15th March 2019 at the North Notts Arena. 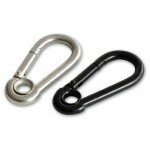 •	For use with the following A Fall Arrest System, A Belay System, A Suspension System / Positioning System. We have recently updated our company video presentation which can be found on our website here or on our YouTube channel here. Our experienced and knowledgeable Sales Team are available to discuss technical issues and offer safety advice to ensure that all customers receive the best product for their requirements. We supply many markets which include Construction, Architecture, Theatre, Entertainment, Transport, Energy, Oil, Gas and General Engineering applications. Don’t miss out! 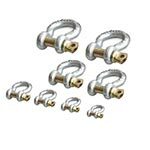 Be one of the first 200 customers to place your order in December and receive a little Christmas Gift to say thank you from all of us at Rope Assemblies Ltd. At this time of the year when your budgets are starting to get a little tight why not bag yourselves a bargain. Take a look at all the additional items that we have available on our special offers page by clicking the link here. Be quick as they won’t last long at these prices! Rope Assemblies has worked with Castleford Heritage Trust to create a safe footbridge at Castleford’s Queen’s Mill – part of a major restoration project to restore the historic building. Sitting on the banks of the River Aire, Queen’s Mill was once thought to be the largest stone grinding mill in the world. According to the West Yorkshire Archaeological Society there has been a working mill by the River Aire as far back as Roman times. During medieval times the mills were used mainly for milling wheat, and they continue to do so. Just last month the Rope Assemblies’ sales team received a special commendation at the LEEA Awards for their customer service and Linda receiving a ‘Manager of the Year’ commendation – both for ‘setting an exemplary standard within the lifting industry’, and James can see why. 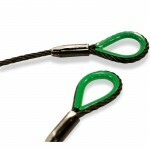 “Rope Assemblies were amazing at turning around our request and delivering the order in a matter of days. 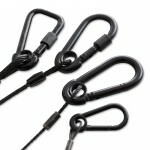 The wires are great – rated to 300kg each, they’re more than adequate to act as a safety barrier underneath the handrail to ensure that no one could fall through the structure,” James said. 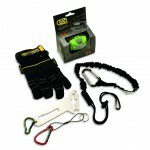 We have recently updated our Kong PPE section to include two new brochures focused on Kong Rescue and Kong Sport. The Kong Sport brochure offers complete product information for helmets, harnesses, gloves, connectors, quickdraws, slings, descenders, rope clamps, pulleys, ferrata sets, anchoring tools, lines, bags and gadgets. The Kong Rescue brochure provides the very best in product technology for stretchers, lifting devices, evacuation, transport, harnesses, slings and products that will perform in the harshest snow and ice conditions. 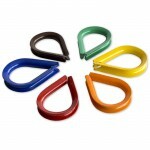 Please visit the https://www.ropeassemblies.co.uk/kong-ppe-downloads/ page to see all PDF downloads and contact us for your Kong requirements. Rope Assemblies Ltd put a team together called RALS&PALS and completed the 8.5k Long memory walk on Sunday 7th Oct all in the aid of the Alzheimer’s Society at Clumber Park, between them they raised over £600 – Lynnies 6 year old son Henri also completed the long walk without any complaints, well done to all that took part. Rope Assemblies Ltd recently held a Macmillan world’s biggest coffee morning where nearly £100 was raised for the charity, it was held in memory of Ailene Brown (Linda’s Mum) & Nick Simms (Sharron’s Husband) and for anyone else that has been touched by this horrible illness, let’s hope more charity events like this will one day put cancer into the history books and remove it from the present and for all our future generations to come, thank you to all that donated. Followers of Rope Assemblies Facebook page were invited to enter our summer ‘Like & Share’ competition during August with the winner receiving an Amazon Echo Dot. Liking our Facebook page and sharing the competition post put automatic entry into the prize draw that ran for July and August with the lucky winner announced on Tuesday 4th September. Giles Metcalfe from Curve Theatre in Leicester will be receiving his prize this week. 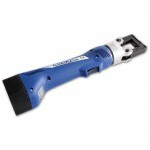 Keep an eye on our Facebook page for more offers in the future. 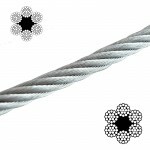 Rope Assemblies are a UK leading provider for Galvanised wire rope available in Natural or Black finish, Stainless Steel wire rope, Safety Bonds, Wedge Sockets, Round Slings, Synthetic & Fibre Rope, Shackles, Steels and Soft Steel. Our website provides comprehensive product information across all categories for the applications in theatres, marquees and stainless steel product areas. 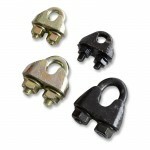 Safety Bonds are used as a secondary safety device for the use with lanterns, lights and speakers to take the load should the primary suspension fail. 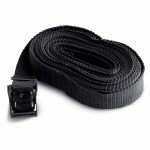 Manufactured to individual requirements in a black finish and labelled with Working Load Limit (WLL) and name as required. Find out more on the link here. 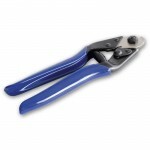 If subjected to a shock load non certified bonds must be immediately withdrawn from service and destroyed. Rope Assemblies are proud to be exhibiting at this years ABTT Theatre Show on Wednesday 6th and Thursday 7th June. This annual exhibition takes place at Alexandra Palace in London and is host to more than 100 exhibitors involved in the entertainment industry, providing excellent networking opportunities as well as showcasing products and innovations in the industry. With opening times from 10am until 6pm on Wednesday and 10am until 5pm on Thursday there is plenty to see at this years event so click here to register for your FREE ticket and visit us on stand A22 – we look forward to seeing you there. 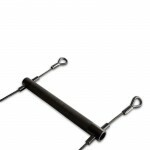 Rope Assemblies Ltd is set to debut its brand new Anchor Strop on stand A22 at this year’s ABTT show. 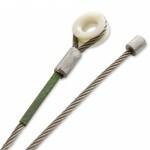 The Anchor strop is a 6mm stainless steel wire rope with thimble eyes on both ends, copper ferrules, and has been designed for general PPE requirements. 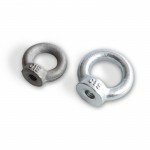 It has an EN362 hook on either end and joins the company’s existing range of Anchor Strops and is perfect for use in a wide range of industries – wherever a person works at height, near unprotected edges or in confined spaces. Consisting of two lengths of wire rope with spacing of end stops, karabiners at the end and removable rungs for easy transportation and storage, the Lighting Ladder can be manufactured to whatever length the customer requires and this can be increased by purchasing additional length. What’s more, several ladders can be joined together widthways to create a lighting ‘curtain’. 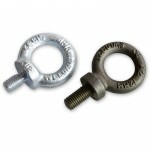 Rungs are available in widths of 500mm and 1m and spare rungs are available. Rope Assemblies’ Climbing Ladders are also manufactured on-site at the company’s Retford factory and are fully compliant with the US Standard ANS1-E1-1 as there is no EN Standard for wire rope ladders. 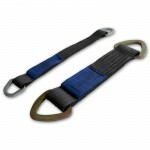 All ladders are manufactured with knurled rungs, karabiner end fittings and EN795 anchor straps. 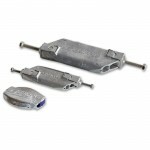 They are made to order by length and come in widths of 130mm or 250mm. All ladders are certified and come with full use instructions. 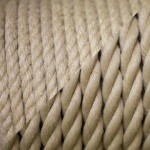 Dyneema Cord, Hemp Fibre, Jute Fibre, Manilla Fibre, Nylon Braided Cord, Polyester Cord, Polyprop Cord and Sisal Fibre all in stock ready for your order. 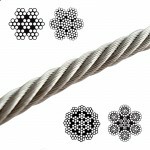 A wide range of fibre and cord material options with differing diameters and lengths sold in weighted bundles or in measured reels. 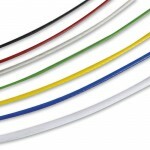 We offer a professional service, quality products and quick delivery. We are able to dispatch 85% of orders placed before mid-day on a next day delivery service. 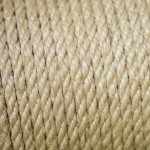 Fibre ropes are usually manufactured from one of four materials: Natural Hemp, Synthetic Hemp (aka Hempex), Manila, Sisal. 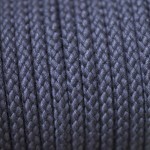 It is sold as a length or with a thimble splice and/or whipped. 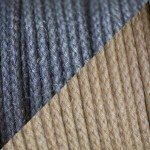 Natural Hemp is a traditional, natural fibre rope. 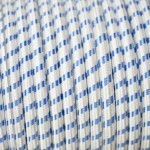 This is a soft rope that has uses in a variety of industries including sailing and theatres. 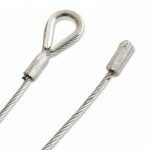 This is available in full coils of 220mtrs or in cut lengths with a thimble splice / whipped termination if required. 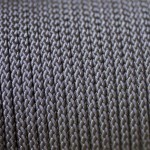 Synthetic Hemp (Hempex) is a man-made fibre rope used as an alternative to natural hemp. 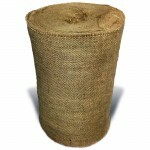 This has higher breaking loads compared with the natural hemp and is more resistant to weathering. 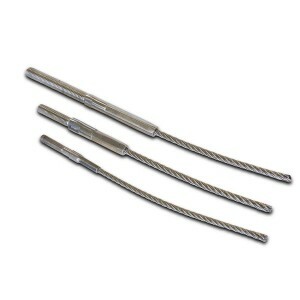 This is available in full coils of 220mtrs or in cut lengths with a thimble splice / whipped termination if required. We have eight Kong brochures ready to download on our website with four being recently updated with 2018 versions. The latest brochures to be made available are the KONG Tactical 2018, KONG Work 2018, KONG Connectors 2018 and the Kong Adventure Parks 2018. 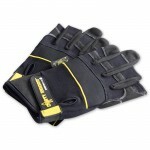 Please visit the Kong PPE Downloads page from the main menu system to browse all eight brochures. KONG, since the beginning, has always followed strict rules to ensure that each product withstands expected loads, controlling and testing piece by piece. This means that when they design a new item, they also build a prototype and have it tested by a notified body that verifies compliance with the standards. It is placed into production with the absolute guarantee that the millionth piece is identical to the first piece produced. This also applies to the production of carry over products. 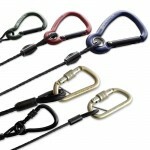 As a further guarantee to the end user, most of the KONG products are certified according to UIAA – International Climbing and Mountaineering Federation standards and to CE norms. Many of their items are also certified according to special standards: NFPA – ANSI – RINA – ASTM or to military specifications. Kong also followed its natural evolution towards a quality management system and has been certified for more than 20 years, today according to ISO 9001, which is applied to all our business processes. The team at Rope Assemblies recently celebrated World Down Syndrome Day by joining in the #lotsofsocks campaign where we all wore brightly coloured socks, long socks, printed socks and unusual socks. World Down Syndrome Day (WDSD), is a global awareness day held on March 21st of each year which has been officially observed by the United Nations since 2012. For this purpose DSi created this event as a way where the global community can share their experiences and advertise their activities (see WDSD World Events) and participate in DSi’s WDSD initiatives, including their WDSD Call To Action, the WDSD Global Video Event, the WDSD Conference at UN Headquarters, New York, the WDSD event at UN Geneva, the LOTS OF SOCKS campaign and the WDSD Awards. We are pleased to make available our latest PDF download offering the information on all of our Stainless Steel products which are held in stock ready to go. The Stainless Steel PDF download is packed with product information and contains nineteen pages of data including technical and schematic presentations. 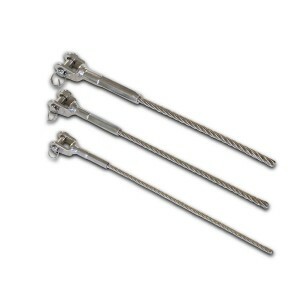 At Rope Assemblies we offer a wide range of stainless steel products and expertise including Jaw & Jaw Rigging Screws, Jaw Terminals, DIN580 Eyebolts, DIN582 Eyebolts, DIN582 Eyebolts, Rope Grips, Shackles, Thimbles, Threaded Terminals and Threaded Terminals. The PDF is the third in our range of product guides which also covers two other PDF downloads presenting Theatre and Marquee products. 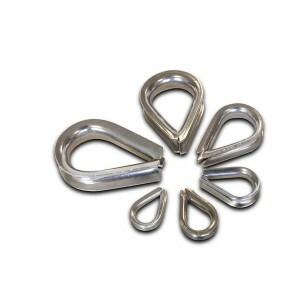 As part of our expanding product portfolio we have now added Stainless Steel products to the website allowing them to be added to your enquiry basket. 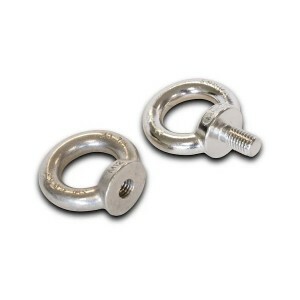 Our stainless steel range includes Jaw & Jaw Rigging Screws, Jaw Terminals, Stainless Steel DIN580 Eyebolts, Stainless Steel DIN582 Eyebolts, Stainless Steel Rope Grips, Stainless Steel Shackles, Stainless Steel Thimbles, Stainless Steel Threaded Terminals, Stainless Steel Wire Ropes and Swage Eye Terminals. We will also be creating a PDF for the complete range which will also be available shortly from the website to download and keep as a product reference document. We will be adding more products to the range during the year. The year has started with a complete overall of our offices, conference room, training centre and staff canteen. The development has seen all our offices modernised as a complete work zone environment with new carpets, blinds, furniture and a full paint makeover in all areas. A complete office layout has also been implemented allowing for sales orders to flow through the company. We are really pleased with the results and this development represents the first in a complete overhaul of the complete site including the manufacturing zones. 2018 will see investments across the company across the whole facility including our large warehousing and stocking facility. We also have new products planned throughout the year and will be updating you via our website and social media channels. As the UK’s leading dedicated lifting exhibition for the lifting industry, LiftEx 2017 offers you a chance to catch up with your existing and new potential suppliers, discover new products and solutions, view demonstrations and explore the latest solutions from over 80 of the industry’s top vendors. No matter what you are looking for, if it’s lifting related, you are sure to find it at LiftEx 2017! Come and visit Rope Assemblies at Stand D7 on 29-30 November 2017 at The International Centre Telford. Register now and book your place alongside over 1000 industry peers from construction, rail, renewable energy, shipping and road transport, oil & gas, civil engineering, entertainment and manufacturing. 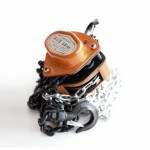 LiftEx is the unmissable show for anyone who works within the lifting industry. Hosted by LEEA (the Lifting Equipment Engineers Association) the event, now in its thirteenth year, features a packed exhibition floor, engaging and valuable conference content, as well as a dinner dance and plenty of opportunities to network with your peers. 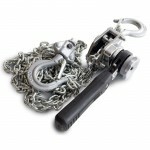 End users of Lifting Equipment in the following industries: Oil & Gas Exploration, Producer, Refiner, Ports/Maritime/Shipping, Shipbuilding, Power Generation, Offshore, Metal Production, Civil & Heavy Engineering, Construction, Automotive, Rail Maintenance and Utilities, Manufacturing, Logistics, Material Handling as well as all industries that use heavy lifting equipment or accessories. We look forward to seeing you. We are pleased to announce the appointment of Linda Martin as the new Managing Director of Rope Assemblies. Linda previously worked as Operations Director at the company for a number of years and has been at Rope Assemblies for 11 years. The appointment follows the recent acquisition of the company by the Unusual group of companies following the decision by the previous owners to take early retirement. Linda is looking forward to the role and developing Rope Assemblies into a valued part of the new group structure, including its supply chain and its customer base. Linda stated, “Having worked at Rope Assemblies over many years I have seen all of the changes in the industry and can see opportunities for our business model which focuses on shared values, product quality and the best duty of care in our sector. 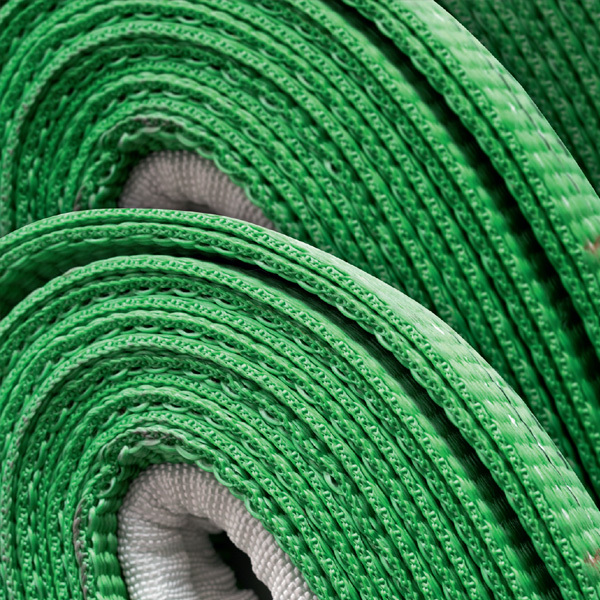 When you make a purchase from Rope Assemblies we know you can be assured of the best in the business for marquees, theatres, constriction, engineering and personal protection equipment. I look forward to working with you all in the coming years”. Retford based Rope Assemblies has been bought by the Unusual group of companies following the decision by its owners to take early retirement. 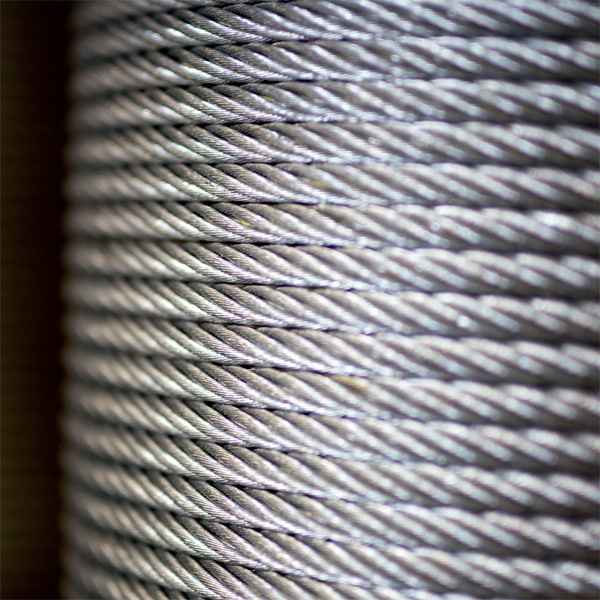 Rope Assemblies has been supplying bespoke wire and fibrerope assemblies, plus a wide range of lifting equipment, to its customer base worldwide since 1986 and this will continue to be the case. Rope Assemblies will be holding a charity fishing match on Saturday 16th September 2017 starting at 09:00. We suggest that you get there earlier to be in time for the fishing draw. We will have prizes for first, second and third place charity fishing event which is being held at Hallcroft Fishery & Caravan Park, Hallcroft Road, Retford, Notts, DN22 7RA. The fishing draw is at 09:00 and the raffle will be held at the end of the event. 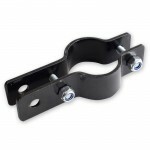 For more information please contact Linda or Sharron at Rope Assemblies on 01777 700714. On site there is the Kingfisher Cafe & Bar which is licenced to serve alcoholic drinks. The Kingfisher serves full range of English cooked breakfasts, Tea, Coffee and Toast in the mornings before you start fishing. Hot snacks are available some lunch times and evening meals also for after fishing. The bar is licenced to serve alcoholic beverages during standard pub hours, and there is a Pool Table and Dart Board for entertainment. As part of pour ongoing product development process we are pleased to make available the KONG Work Products Brochure which is available as a downloadable PDF. In order to facilitate the scaffolding operator in the choice of appropriate PPE for their activities, Kong offers an individual kit that meets the most common needs; the kit can be integrated for special needs. The assembly, disassembly and processing of scaffolds are operations performed by a team composed of people equipped with their own PPE and with team equipment. Each type of scaffolding has its own characteristics and problems of fall protections; the kit proposed by Kong allows safe operations on most common scaffolding on the market. In case of falling outside of the scaffolding, it is important that the team members take action to remove the colleague from suspension, which, with loss of consciousness, can be fatal within minutes. The evacuation of an injured person must be planned and the team members must be trained to do it correctly and quickly. 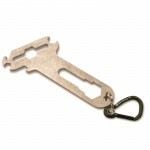 To carry out the evacuation is necessary to have the proper equipment. 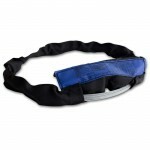 Kong offers a kit which is very easy to use and suggests that it is always present in every workplace. 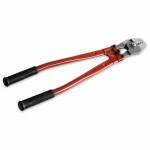 Rope Assemblies is the UK approved stockist for KONG work products. We held our annual staff event in Retford with a Hog Roast Meal event on Wednesday 19th July 2017. The event was well attended and the catering was provided once again by the “Two Counties Hog Roast” company who are a leading professional hog roast provider in the Nottingham and Leicester areas of England. The food was delicious and well presented, the service excellent and all in all it was great value for money. We would not hesitate to use them again, and have no problem with recommending them to others. The location was Retford Rugby Club which provided the setting for all of our staff members, their families and also others that were in attendance. We would like to thank you all for coming to this event and supporting Rope Assemblies during the year. 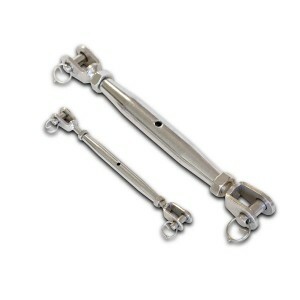 Rope Assemblies have been a longstanding distributor of Kong products an equipment for well over 20 years. This is especially the case for Personal Protective Equipment (PPE) used for a variety of applications, not just restricted to climbing and mountain rescue, but also commonly used also to protect people involved in work at height. 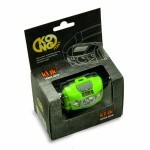 Kong is a company organized with a system of quality management certificate ISO 9001 with the following scopes, design, manufacture and sales of connectors and equipment for mountaineering, rescue, work at height, industry and boating design and provision of training services for education and training in particular, though not exclusively, in the field of safety in the workplace. Please click on link to take you to our new area with KONG PDF downloads. The PPE Directive 89/686/EEC covers the manufacture and marketing of personal protective equipment. It defines legal obligations to ensure that PPE on the European market provides the highest level of protection against hazards. 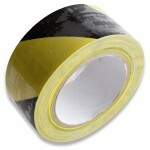 The CE marking affixed to PPE provides evidence of this protection. 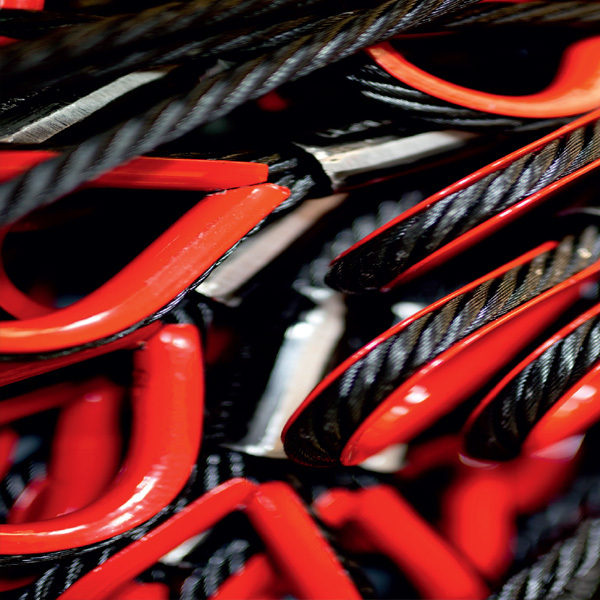 Rope Assemblies PPE Wire Strops have been certified again as part of our annual audit and certification process for the standard BS EN 795:2012 – PPE against falls from height – anchor devices: requirements and testing. 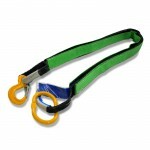 Rope Assemblies are pleased to announce the launch of our latest product, “the Tensometer”. 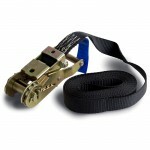 This new product is a Straightpoint COLT lightweight tensionmeter for fast and accurate measurement of wire rope tensions up to 11,000lbf/5000 kgf and up to 1”/25mm diameter. Manufactured using an integral, high accuracy, Bluetooth module the COLT transmits load data wirelessly to any smart device running our Android or iOS app. As the library of wire rope diameters and constructions is increased each app user will benefit when they update and receive any new data. 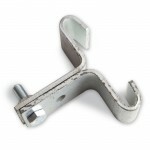 A built in smart device holder allows the COLT to be used as a traditional tension meter with on board display or the smartphone maybe handheld or mounted elsewhere. 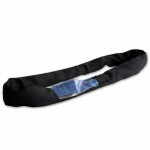 Supplied in a purpose made carry case the COLT is portable and utilises standard alkaline batteries making this perfect for on-site cable tension measurement across the world. Over the last few months we have invested in a new downloadable PDF document to present our Marquee product range which can be sourced from our dedicated downloads page www.ropeassemblies.co.uk/downloads. Rope Assemblies specialises in the supply of rigging equipment to the Theatre, Entertainment and Marquee Industries worldwide. From small theatres to arenas and large outdoor events. We can supply black rigging from our £500,000 stock to meet tight schedules and delivery can be made direct to the venue if required. 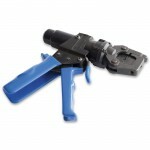 Call or email our knowledgeable sales team to discuss your requirements. 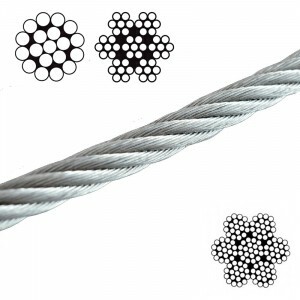 The Marquee PDF download offers detailed information regarding Wire Rope, Manufactured Assemblies, Fittings, Slings & Webbing, Fibre & Cord, Tools & Mechanicals and Accessories. We hope you enjoy the download as much as we did when we created it. We are really proud of all of our staff and we are pleased to present a family personality when it comes to showing an interest in the team. We have seen Lynne Testo recently celebrate her 30th Birthday. Lynne likes to spend time with her family during the week and has a speedboat hobby for the weekend so she can be found on the River Trent during the Summer months. Lynne also likes to like to spend a lot of time on the Cath Kidston website shopping for herself in her free time. Rope Assemblies have also recently invested in a Warehouse Apprentice called Dan Newcombe who is at our location each week whilst working in partnership with North Notts College. Dan is 16 years old and lives in Retford with a busy active life including interests in social media, football and rugby. He is looking forward to getting his driving licence at the age of 17 and then also getting his fork truck licence with Rope Assemblies. Dan will be working full time in his time whilst undertaking his 12-month apprenticeship. We are really proud to have had two staff members celebrate long term anniversaries at Rope Assemblies have worked for us for just over a combined 30 years. This month sees the 10 year anniversary at Rope Assemblies for Joanne Hopkinson and an impressive 20 year anniversary for Louise Clark. Joanne Hopkinson celebrates 10 years with us working in sales and enjoys her family living in Retford and also has a fondness for selling items on eBay. Louise Clark celebrates 20 years of service at Rope Assemblies and now occupies the role of our Works Manager. Louise likes going to the gym, long walks at the weekend and also has a fondness for The Body Coach Joe Wicks who is a renowned fitness guru. As part of supporting a number of good causes Rope Assemblies has held a Red Nose Day event at our manufacturing facility to raise money for this respected charity. Noah (Joanne Hopkinson’s son) is handing a cake, made by Lynne Testo, to one of our long serving team members Lynda. Red Nose Day is a UK-wide fundraising event organised by Comic Relief every two years. On Red Nose Day, everyone is encouraged to cast inhibitions aside, put on a Red Nose and fundraise – celebrities included! We’re back! LEEA Roadshows are FREE events for all. They provide a unique opportunity to receive latest news and build close relationships with lifting industry professionals. We welcome you to join us! On Tuesday 21st March, LEEA will be hosting the first Roadshow of 2017! The Roadshow will be held at Tankersley Manor, Near Sheffield. We would like to welcome you to join us, this is a free event for all members and non-members. The day is short and informal, the event will take the form of a table top exhibition where LEEA member companies will showcase their latest products and services, industry relevant presentation and great opportunities to network. Agenda 10:00 – Doors open, 11:00 – Presentations, 12:30 – Q&A session, 13:00 – Buffet lunch & networking. The Lifting Equipment Engineers Association (LEEA) is established across the globe as the leading representative body for all those involved in the lifting industry worldwide. LEEA are the respected and authoritative representative body for our Members who work in every aspect of the industry, from design, manufacture, refurbishment and repair, through to the hire, maintenance and use of lifting equipment. We have recently been awarded a new patent which has been granted to Rope Assemblies for the invention of a rope ladder as disclosed in a filing application allowing for a replacement rung solution. The grant has been awarded for the evolution of a rope ladder system and we are pleased to be recognised for innovation with this commercial product. The product allows for replacement rungs to be inserted if thy become damaged, allowing for longevity of the actual product as a whole. 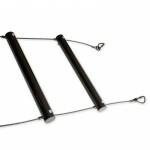 Traditionally, rope ladders consist of ridged rungs spaced apart along and tied to a pair of ropes. 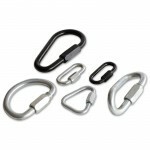 While this construction provides a very secure rope ladder, if a rung became damaged, it is very difficult to replace. Our new rope ladder allows for the replacement of individual rungs which may be readily replaced without affecting the rest of the ladder. A complete overview of the product and its benefits can be found at the Patent Office website using the reference number GB2493407. You can also contact us for more information relating to this product and how it can save you time and money in the longer term. We have recently updated our ISO9001 Quality Management System to the latest standard which is something we are proud of undertaking. 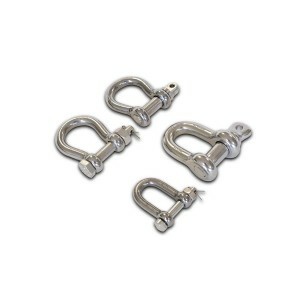 Rope Assemblies operate a best in class approach to all areas of the business and quality management is no exception. We are now accredited to the new standard which is ISO9001:2015. We use the standard to demonstrate our ability to consistently provide products and services that meet customer and regulatory requirements. All ISO standards are reviewed every five years to establish if a revision is required to keep it current and relevant for the marketplace. ISO 9001:2015 is designed to respond to the latest trends and be compatible with other management systems such as ISO 14001. The new version follows a new, higher level structure to make it easier to use in conjunction with other management system standards, with increased importance given to risk. Our year has seen growth across all areas with new staff, products and customers being developed and supported. We completed our BSI Audit in January and sponsored a local charity in February. In March one of our long standing staff members attained a distinction in her diploma. April saw us attend an LEEA roadshow, with our new website being launched in June. One of our products won an award in July and we celebrated our 30th year in business in the same month. August saw us launch our safe use documents library followed by “How To” video guides in September. Towards the end of the year we attended a number of trade shows including the Showman’s show and the LiftEx show in Aberdeen. The 12th edition of the event will take place at the Aberdeen Exhibition and Conference Centre (AECC) on 23rd & 24th November 2016. Known as the Energy Capital of Europe, and with over forty years of experience in oil and gas operations, Aberdeen is established as one of the most influential, innovative and proactive energy cities in the world. LiftEx has become the go-to event for the lifting industry, comprising of the Exhibition, Industry Conference and Innovation Fast Pitch over the 2 days. The show attracts over 1,500 dedicated industry professionals and end users from a wide range of vertical markets, including oil & gas, energy, road & maritime transport, construction, utilities and manufacturing. The Showman’s Show is the UK’s original and most comprehensive exhibition of products, services and entertainment for the outdoor and special event world. At the excellent setting of Newbury Showground, Chieveley, Berkshire, UK, the Show is action packed with exhibitors and spectators alike with a wide range of interests for the events sector. Rope Assemblies attended the show which was held on 18th & 19th October 2016 in Newbury. To visit the show by road: via the M4 from South Wales or London, or the A34 from Oxford or Newbury. There is ample free on-site parking. By rail: to Newbury. A courtesy bus will operate between Newbury Station and the Showground every 30min from 8.30am on the 19th & 20th of October. The last bus will leave the showground at 6pm on Wednesday the 19th and 5.30pm on Thursday 20th. By air, Heathrow is under 45 minutes drive west bound along the M4. Bristol via the M4 east bound. Southampton airport via M3 and A34. We look forward to seeing you. 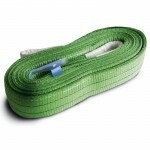 A series of videos have been created to promote safe usage of some our rope assembly products. There are four videos available at the launch of this initiative covering short “how to” presentations on How to Battery Operated Tongs, How to Sailor Tongs, How to Wedge Socket and Lighting Ladders. The new video guides page link can be found here. In each video we cover the basics in less than a minute allowing for you to quickly use this as an aid to the usage of each item. We have also posted these new videos on our YouTube channel. We are looking to create more videos over the coming months so please bookmark the “How To” video page and come back to us. Please view each video and feedback with any suggestions. We are pleased to announce that we have created a new area on the website for the promotion of a wide range of Safe Use Documents. Some of the safe documents usage information has been reproduced with the kind permission of LEEA and carry instructions for the usage of most of our product categories. The Safe Use Documents link can be found here. Safe use documents are available to download as PDF’s covering the following product areas, Bar Clamp, Beam Clamps, Chain Lever Hoists, Eyebolts, Eyenuts, Fibre Rope Slings, Hand Chain Blocks, Kadar Clamp, Lifting Appliances, Lighting Ladder, Long Link Chain, Maillons, Roundslings, Safety Bonds, Sailors Tongs, Shackles, Slinging Practice, Soft Steel, Turnbuckles, Type 50 Reutlinger, Webbing Slings, Wedge Sockets, Wire Rope, Wire Rope Frog, Wire Rope Grips & Wire Rope Slings. During July 2016, Rope Assemblies is celebrating its 30th birthday as a leading provider of Wire Rope, Manufactured Assemblies, Fittings, Fibre Cords, Mechanical tools and Accessories to the UK and Export market sectors. 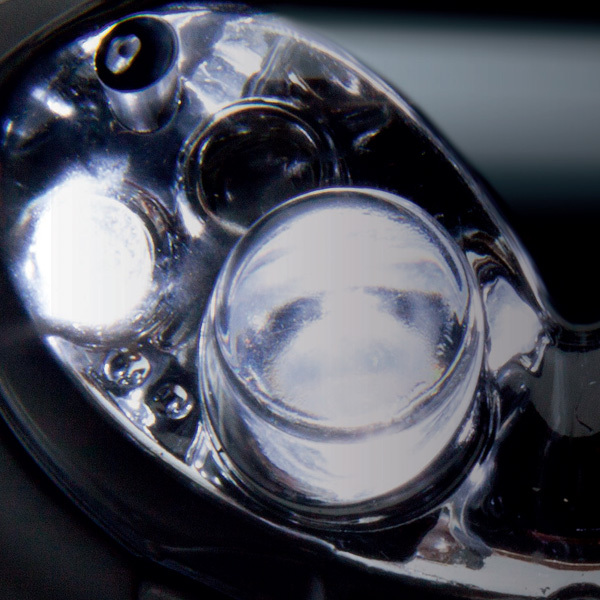 We have been designing, manufacturing and supplying products to the Theatre, Entertainment, Construction, Engineering, Manufacturing, Oil, Gas & Petrochemical industries for three decades. Many of our projects have been undertaken as partners with over 10,000 satisfied customers being serviced with the latest products available. We look forward to the next few years and beyond working with our staff, suppliers and customers in a wide variety of support roles. 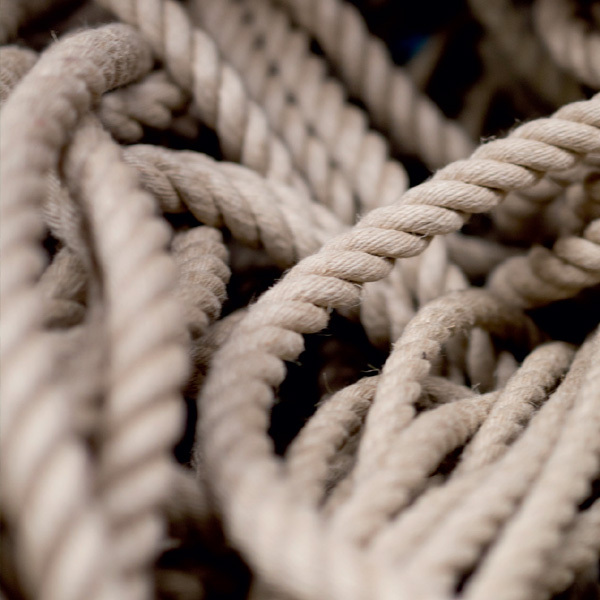 We value our heritage as a leader in the Rope Assembly and Rigging industry sector and will continue to support you offering the highest standards available in the market place. To celebrate our 30th anniversary in business, we are holding an open door policy for the remainder of 2016. If you are a supplier, customer or potential partner, we would welcome you to contact us and visit our modern manufacturing facility in Retford close to the A1 in Nottinghamshire. We look forward to seeing you. The ABTT Theatre Show, first staged in 1978, offers an exhibition, forums, workshops and product demonstrations with an opportunity for Discussion, Discovery and Development. 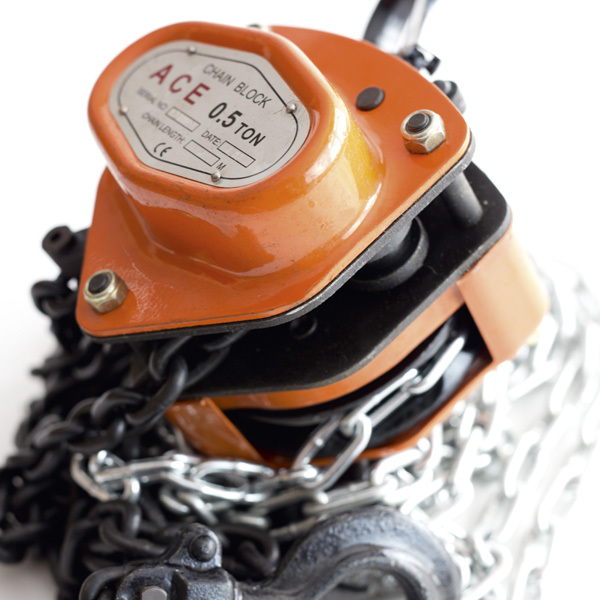 Rope Assemblies was entered for our Tiger Lifting Chain Block system for the “Engineering Product of the Year” category which we attained a “Highly Commended” award. We are proud to be part of the organisation and its events around the UK. Unlike other exhibitions, the purpose is to raise money to fund the work of the registered charity, The Association of British Theatre Technicians. The ABTT is the membership organisation upholding standards in technical excellence and safety for theatre and live performance. It seeks to continuously advance technical expertise in theatre and live performance and work with its membership to develop and promote best practice in all relevant crafts and disciplines. Exhibitors are effectively investing in their own industry. It works for those who are building or equipping a venue, it works for those who put on shows, it works for suppliers promoting their products and it works for students looking for a career in the industry. Over recent months Rope Assemblies have been working on a new part of its Internet strategy with the development of a new mobile ready website. 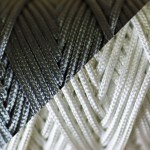 2016 is forecasted to be a year of growth for Rope Assemblies with several investments across online media covering website development and social media activities. In Summer 2016 we have just launched our next phase website which offers an insight into all aspects of the company and its industry leading products and services. 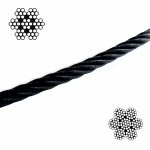 Rope Assemblies Ltd, a main supplier of Bespoke Wire Rope Assemblies, Fibre Rope Assemblies, Fittings and Fixings have been supplying Stage and Rigging Equipment, PPE and Climbing Equipment, Lifting Equipment, Marquee Wires, Architectural and Bracing Wires, Lashings, Door Wires (including Garage Door Wires and Lorry Door Wires), Balustrade Wires and many other products since 1986. To launch the site we are offering a 5% discount on the next order placed by all customers, existing and new, before 31st July 2016, you must quote the reference number RAL1142 to receive this offer. The offer is limited to one order per customer. Ann McCorkell our Technical Manager has recently attended the first LEEA Roadshow which was held in Durham during March 2016. LEEA member companies were also showcasing their latest products and services including Rope Assemblies. These events are free to attend, open to both LEEA members and non-members and all employees are made to feel welcome. The event took place in the form of two main presentations. Ann McCorkell has recently been promoted to Technical Manager following her attendance on the Lifting Machines Manual Course at LEEA’s training centre in Huntingdon where she achieved a distinction for her Diploma. We are proud to announce that we will be sponsoring Weston Park Hospital at an event on 18th March 2016 at the Ye Old Bell with the Cantamus Girls Choir performing during the evening. The event address is Ye Olde Bell Hotel & Restaurant, Barnby Moor, Retford, Nottinghamshire, DN22 8QS. The Cantamus Girls Choir and Training Choir consists of girls between the ages of 9 and 19 who come together for the sheer joy of singing and to be part of the Cantamus family. The emblem of the choir is the butterfly which evokes the transformation of girls from children to strong and beautiful young women who soar in confidence and talent. In 2013 Cantamus celebrated 45 years as one of the foremost choirs in the UK. From its humble beginnings as a group of 18 girls who were the private pupils of founder Pamela Cook, Cantamus now has over 400 past members, many of whom pursue careers in music. Rope Assemblies is pleased to announce that we have passed our ISO9001 quality system audit. We have held our ISO 9001 2008 accreditation since February 2008 being proud of the association and benefits that it has delivered to our company. We have a continues review system in place to ensure that new products, services and procedures are encompassed within our quality system. The new version will follow a new, higher level structure to make it easier to use in conjunction with other management system standards, with increased importance given to risk. The ISO9001 Quality Management System standard represents the world’s leading accreditation process for companies serious about quality control. Our historical accreditation standard was to the 2008 approval timeline which has now been revamped in line with recent changes. The future of ISO 9001:2015 will be to respond to the latest trends and be compatible with other management systems such as ISO 14001. We are pleased to announce that Rope Assemblies is in attendance at LiftEx which will take place on the 11th & 12th November 2015 at the brand new purpose-built Liverpool Exhibition Centre. Now in its 11th year, LiftEx has grown to become the UK’s leading exhibition for the lifting industry, returning to its successful stand-alone format over 2 full days. We will be located at Stand number 5 so will look forward to seeing you all at the event. The LiftEx Industry Conference will take place for the first time alongside the exhibition for on Day 2. This high level conference will feature a series of short presentations delivered by leading figures from the lifting equipment industry. Content will be non-commercial and targeted at C-level executives and material handling managers who work in every aspect of the industry, from design, manufacture, refurbishment and repair, through to the hire, maintenance and use of lifting equipment. 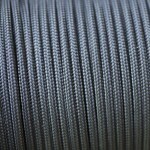 We have recently supplied a large order for soft steels to a customer in Australia. This order represented our 10,000th for the year to date which is quite an achievement. We have expanded this year with a number of contracts undertaken and fully expect this year to be our largest yet for orders of this type. In November 2013, the United Arab Emirates won the right to host the World Expo in Dubai in 2020. This will be the first time that the World Expo is staged in the Middle East, North Africa and South Asia (MEASA). Construction begins in 2015 and is planned to be completed by 2019, allowing for readiness testing across networks, systems and technologies. Rope Assemblies is supplying rigging equipment to various venues. Rope Assemblies gain accreditation for BS EN 795 for Personal Protective Equipment (PPE). 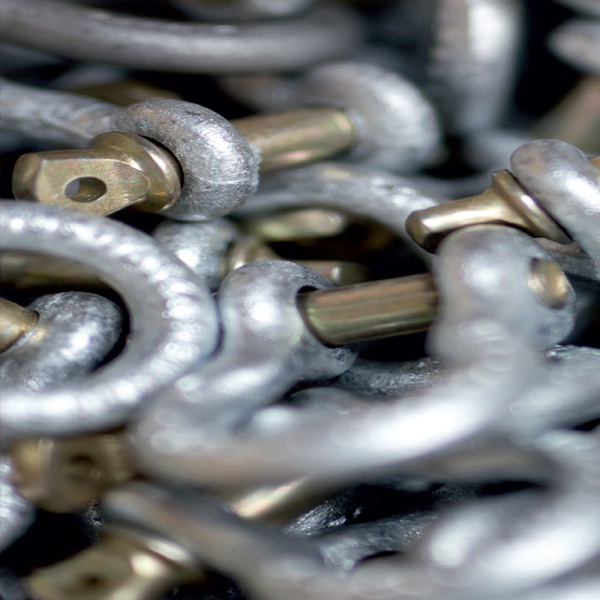 This standard was published under a mandate to support the European PPE Directive 89/686/EEC in order to facilitate the CE marking of fall protection anchor products. The project to write the standard was ambitious because of the diverse range of fall protection anchor products to be covered and it presented challenges from the start. It resulted in the need to classify products into five groups. The standard is spread across five classifications including Class A: single anchors, e.g. 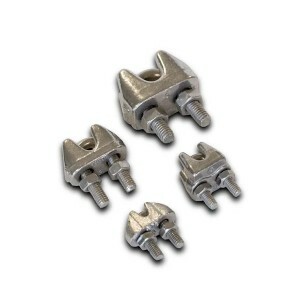 eyebolts, Class B: temporary transportable anchors, e.g. 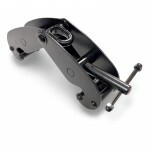 tripods, girder clamps, Class C: horizontal lifelines, both permanently and temporarily installed, Class D: horizontal rails and Class E: deadweight anchors.